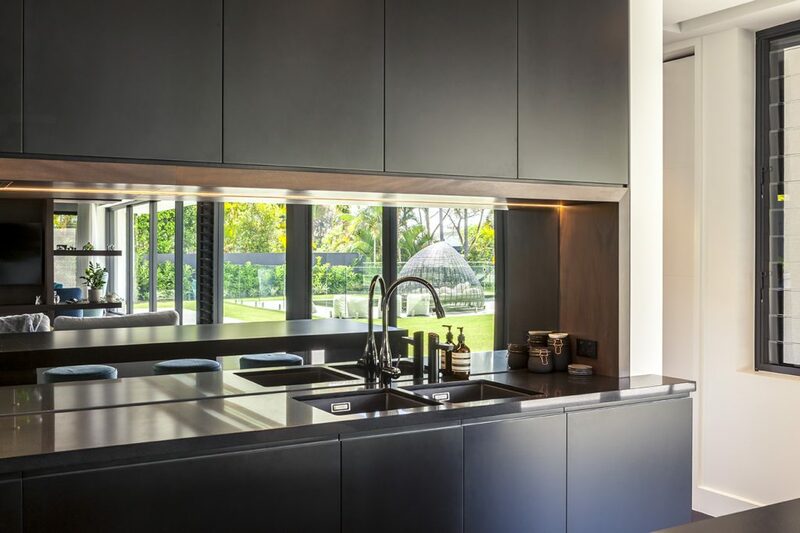 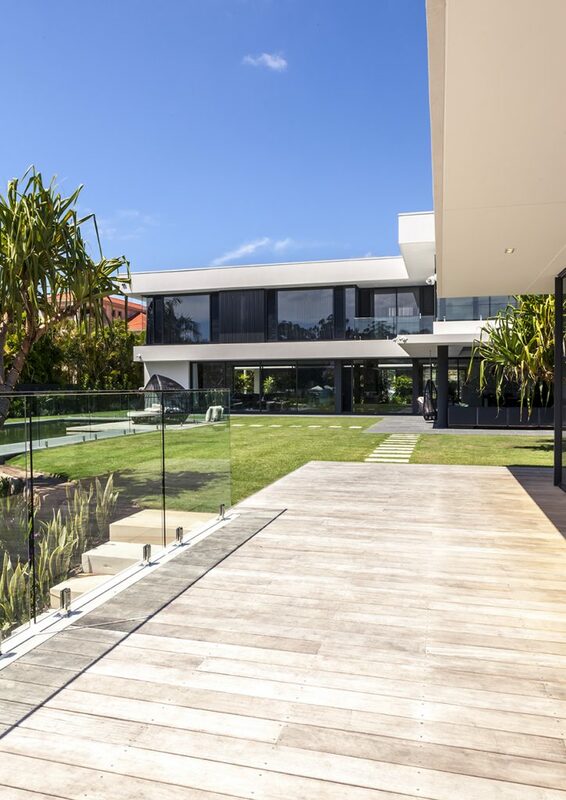 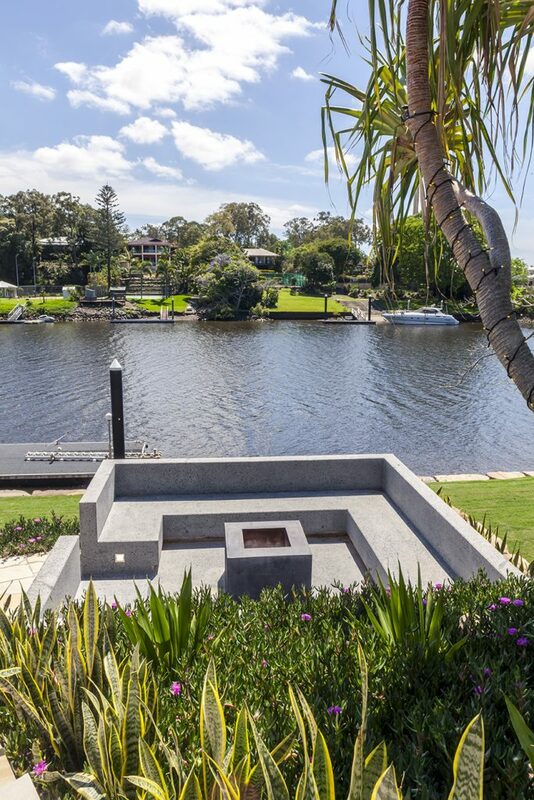 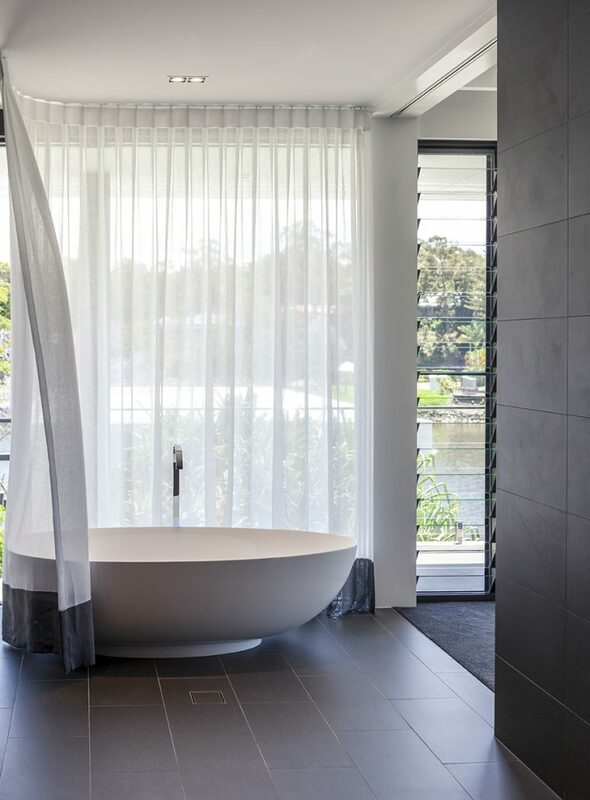 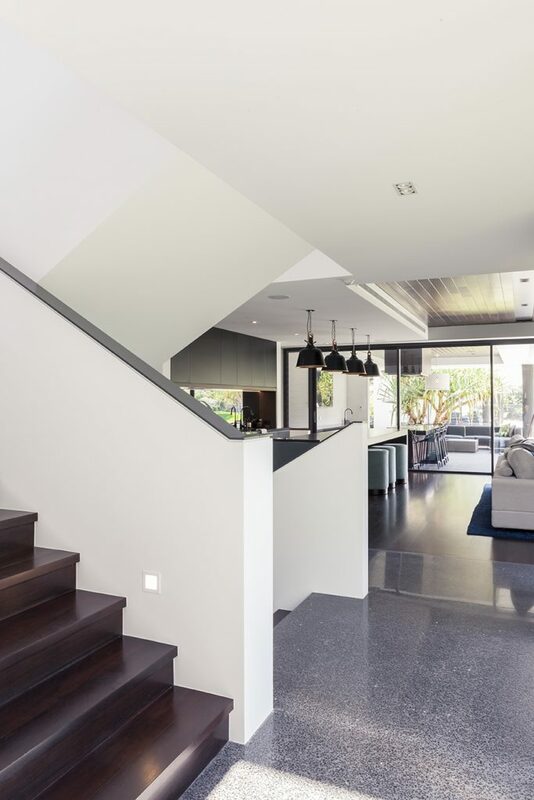 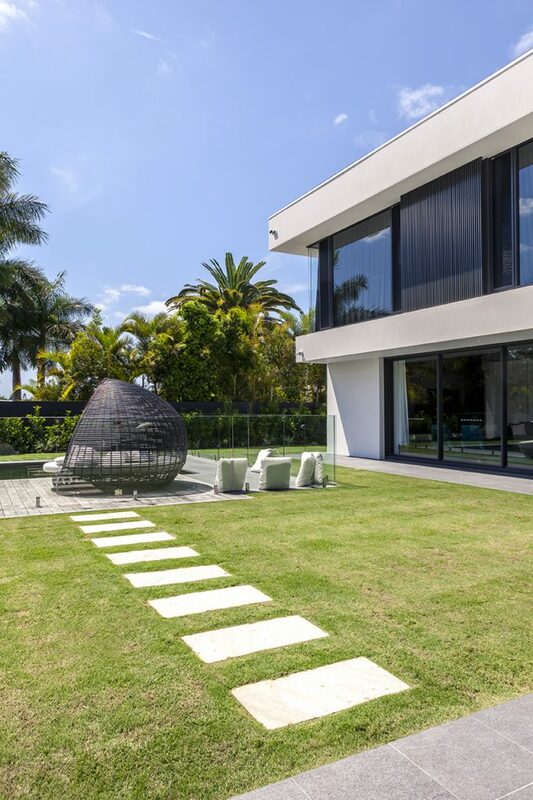 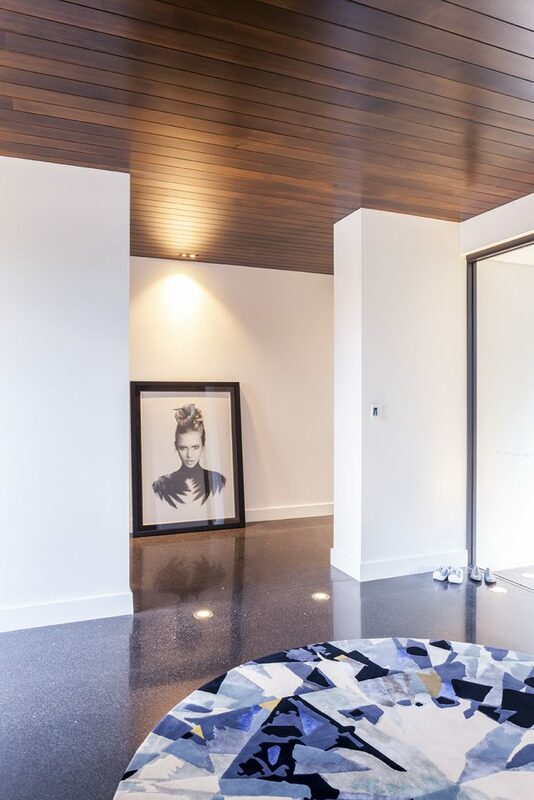 This stunning residence by BGD Architects is situated in the heart of the Gold Coast. 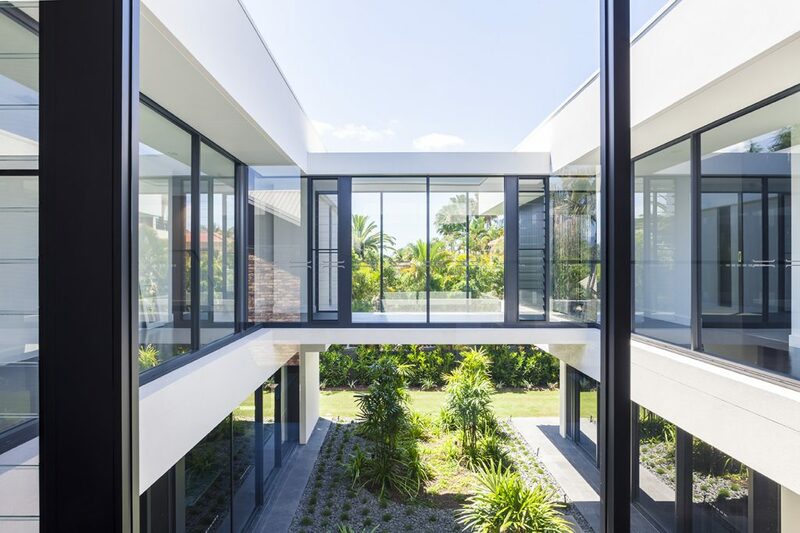 Taking cues from modernist architecture with a sleek profile, an internal courtyard and large expanses of glass the home is perfectly designed to take advantage of the sub-tropical climate. 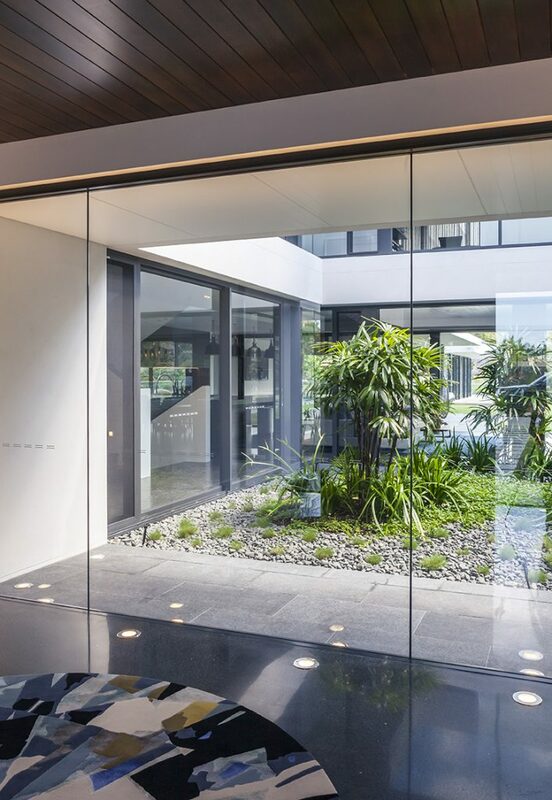 The entryway looks through the courtyard and invites you further into the home and the view beyond. 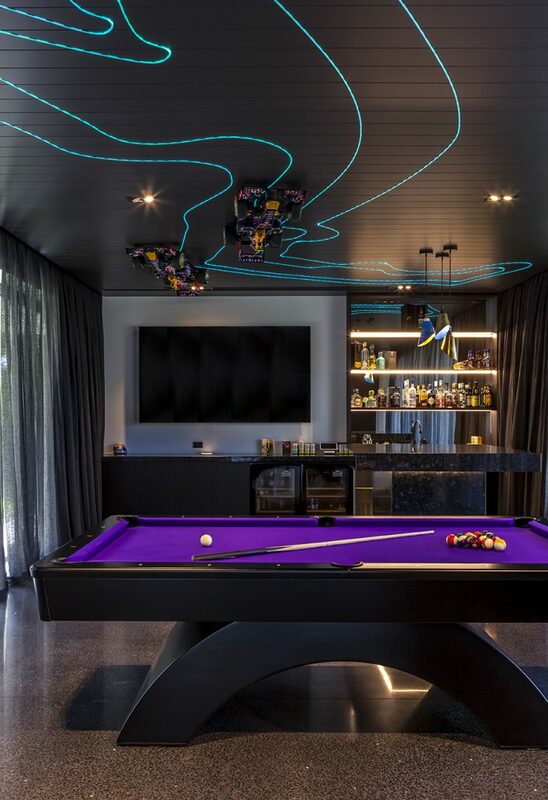 To the right is an impressive bar and pool room with extensive use of LED strip lighting. 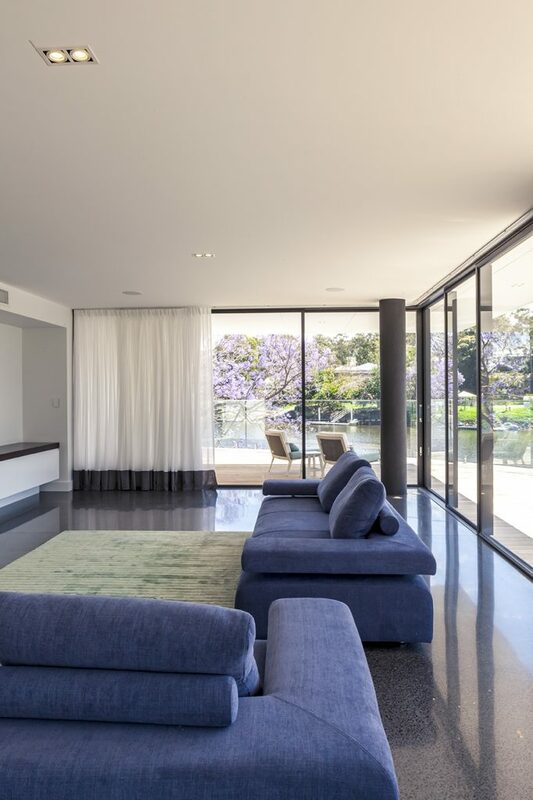 While to the left the living areas wrap around the central courtyard and open up onto the canal. 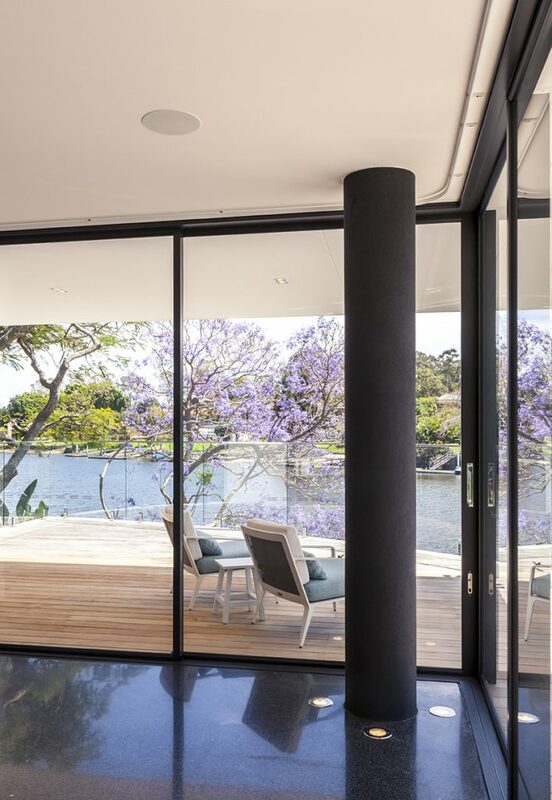 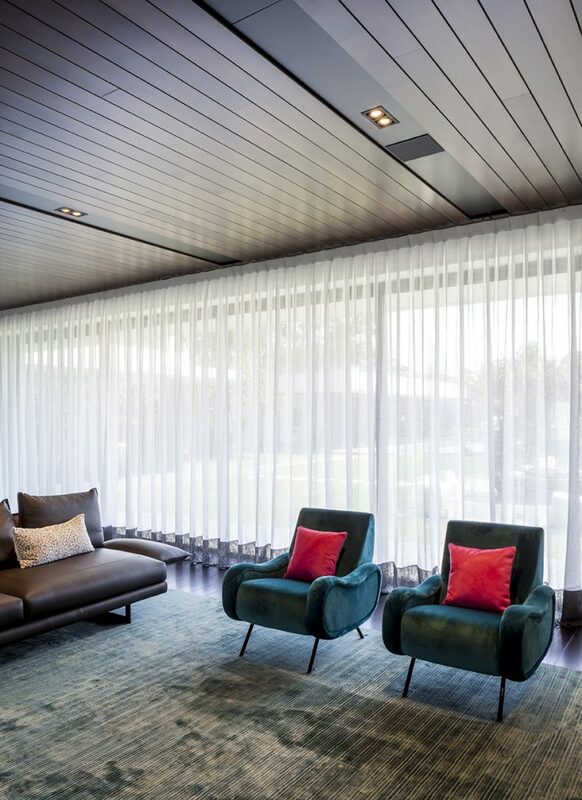 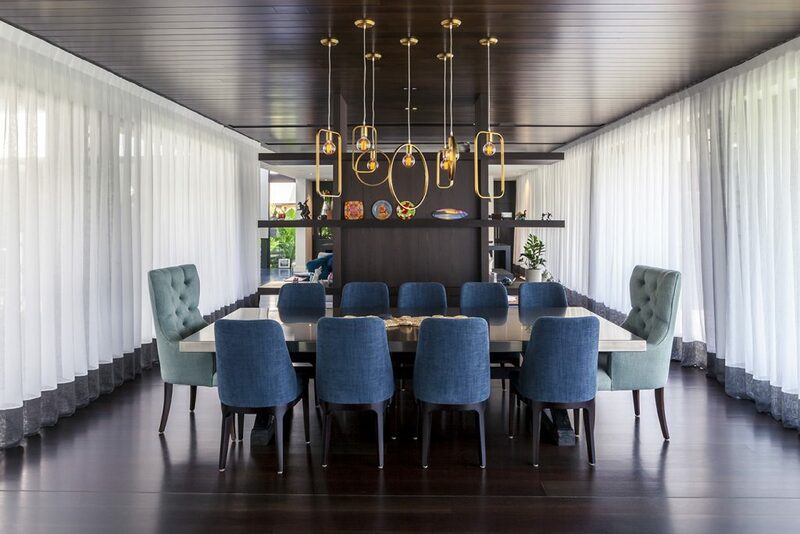 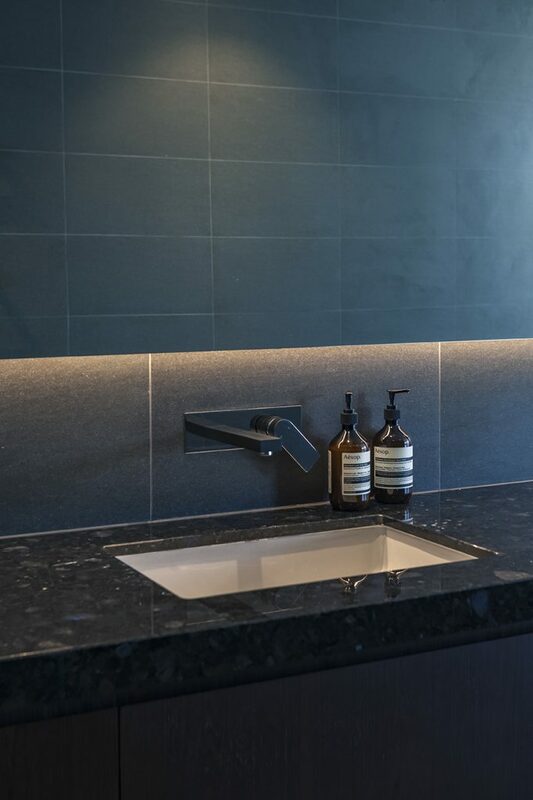 A mix of our Mini Max Downlights and Radius Floor Lights have been used throughout both levels of the home and carried into a separate entertaining pavilion.